The Imagination Club was started off by Andy Whittle and Jeffrey Baumgartner so long ago, they are not exactly sure when it started, but they think it might have been in 2007. Or maybe earlier. At the time, both were involved in training and facilitation to some extent and used the new Imagination Club as a platform for trying out their techniques. They also invited friends to use the club for the same purpose. Our initial audience was friends and friends of friends. Soon, friends were telling friends and the club grew and grew. Nevertheless, the basic concept of a short, experimental, 90 minute workshop on Wednesday evenings has not changed. Occasionally, Andy and Jeffrey play with other ideas like Serious Waffle Sessions, walks and social meet ups. You can learn more about our activities on the What We Do page or, better still, you can scroll down the page and subscribe to our mailing list to ensure you are invited to all of our activities! Originally from England, Andy is a well-traveled individual who loves life and all creative things. Andy's passion and motivation in life is to build a much kinder and happier world through thought-provoking and uplifting workshops and seminars. He loves to share tools and methods that help people be more creative as well as to gain the life-skills necessary to be better connected to themselves and the world around them. 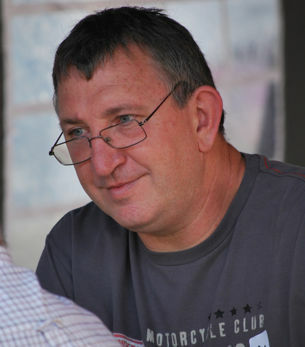 He does this using his own methodology based on the years of experience he has built up running workshops. (Experience his work by coming to the Imagination Club in Brussels). 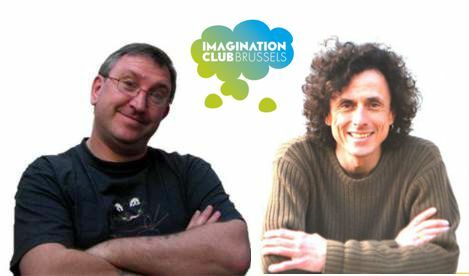 In addition to being the co-founder and co-host of the Brussels Imagination Club, Andy is a Life and Executive coach. He is happiest when he can help people reach their full potential and thrive in today's stressful world. Jeffrey is the author of four books, including The Insane Journey (science fiction humour novel), Anticonventional Thinking (creativity), The Way of the Innovation Master (business innovation) and The Adventures of Felicity Holmes (literary hack). 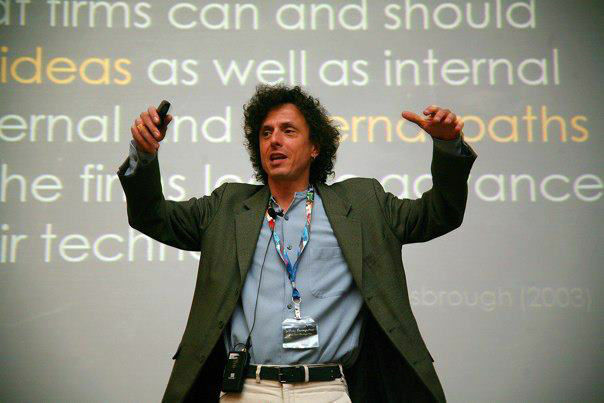 Jeffrey also speaks and delivers workshops on creativity, business innovation and imagination around the world. He's worked with teams in a variety of organisations, including FritoLay, Philip Morris International, Genentech, Agra, Afton Chemical, the Algarve region of Portugal, the Dubai Prime Minister's Office, Almajduie, the European Commission and more. And, of course, he is the co-founder and co-manager of the Imagination Club. Over the years, a few people have started Imagination Clubs in their cities. This is something we encourage. Moreover, we consider the club to be an open source project, so you are free to use our model. So, if you'd like to start an Imagination Club, please get in touch. Interested in setting up an Imagination Club? Get in touch with us. We would be delighted to support you!